Mr. 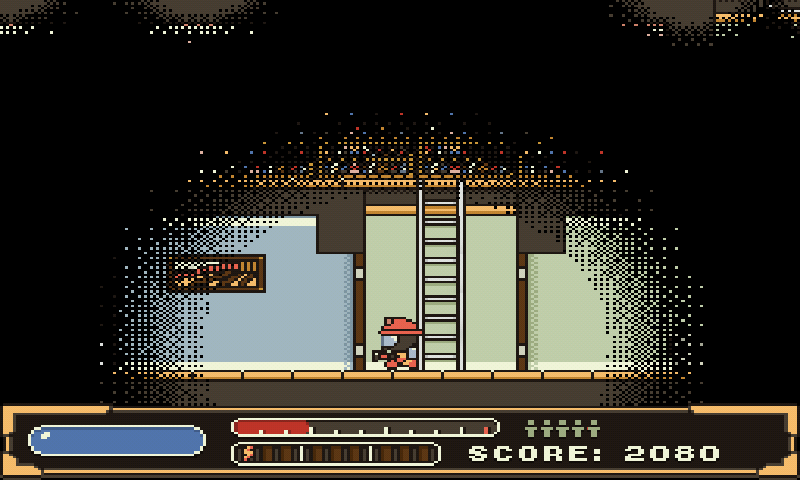 Rescue is an arcade styled 2d action game centered around evacuating civilians from burning buildings. 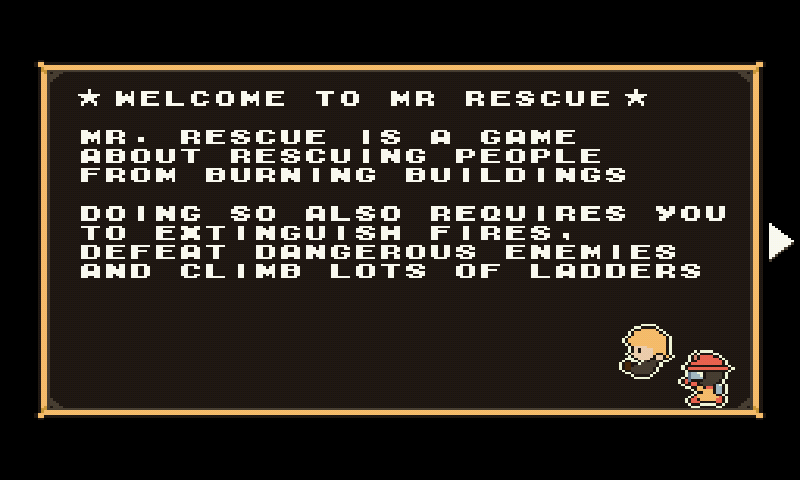 Here is Mr Rescue, a little arcade game made in LÃ¶ve. This port use glshim. I have added many functions, and especialy some preliminary Framebuffer support, so the game runs now. Still using LÃ¶ve 0.8.0. I will try to update to 0.9.1 soon. Start is mapped to Enter, but the 3 actions keys are mapped to the ABX on the Pandora. * Removed fix for possible "infinity" scoring as it's usefull only in easy level (possibly in hard too). "An error has occurred that caused Mr.Rescue to stop. You can notify Tangram Games about this at http://tangramgames.dk. Error: resources.lua:123: Cannot create canvas: Error in implementation. Possible fix: Make canvas width and height powers of two." Am I missing a library or something? Very fun. I've really been enjoying these LÃ¶ve engine games. Thanks, ptitSeb! Fun little game, and it runs very well on Pandora, too.